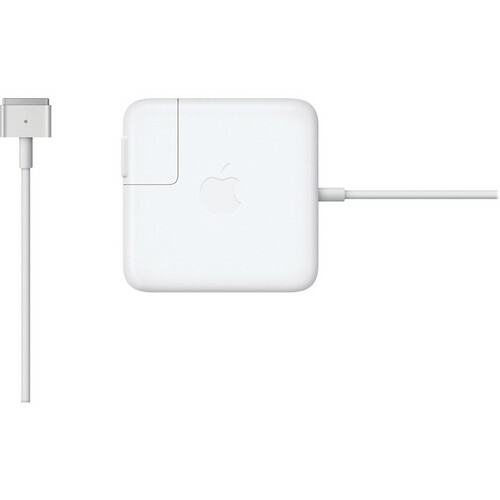 The Apple 45W MagSafe 2 Power Adapter for MacBook Air from Apple with its "T Style" form factor provides for easy convenient charging. It features a magnetic DC connector, which easily unplugs when excessive strain is applied to the cable. This feature also helps guide the cable quickly into its port and limits the wear and stress that other adapters face. An LED indicator on top of the adapter cable illuminates orange when the battery is charging and turns green when the charge is complete. The AC power cord that attaches to the MagSafe Power Adapter increases your mobility while the laptop is connected to the charger, and Apple's clever cable storage design makes it an ideal travel partner. Box Dimensions (LxWxH) 12.5 x 4.6 x 1.5"
45w Magsafe 2 Power Adapter is rated 5.0 out of 5 by 9. Rated 5 out of 5 by J to the K from Works as promised. The B&H staff was very helpful in getting me the right power adapter. Rated 5 out of 5 by Jim_in_PA from OEM quality My daughter needed an extra power supply for her MBA 13" to keep in her backpack for school. As always, I look to B&H first for items like this ... speedy fulfillment and generally, best available pricing. Rated 5 out of 5 by Andrew from It works! It works as designed. Although OEM is more expensive, it saves a lot of grief from unreliable off brands. I do have lots of experience trying to save a few bucks and ended up wasting time & money. Rated 5 out of 5 by hmh from genuine product This is a great replacement for the original power adapter that came with my MacBook Air. Hopefully this one doesn't get lost. Rated 5 out of 5 by Subbu from Good deal This is a great deal and shipment received as exactly what they described. thank you. Rated 5 out of 5 by Mikull from awesome Great quality, competitive price. Not much to be said, buy from here if you need it! Rated 5 out of 5 by Diego from Excelente Excelente todo el proceso, desde la compra, hasta la entrega. Rated 5 out of 5 by dog caring from works perfectly works w my mac air I bought 2 years ago. Does it works in one from 2014? 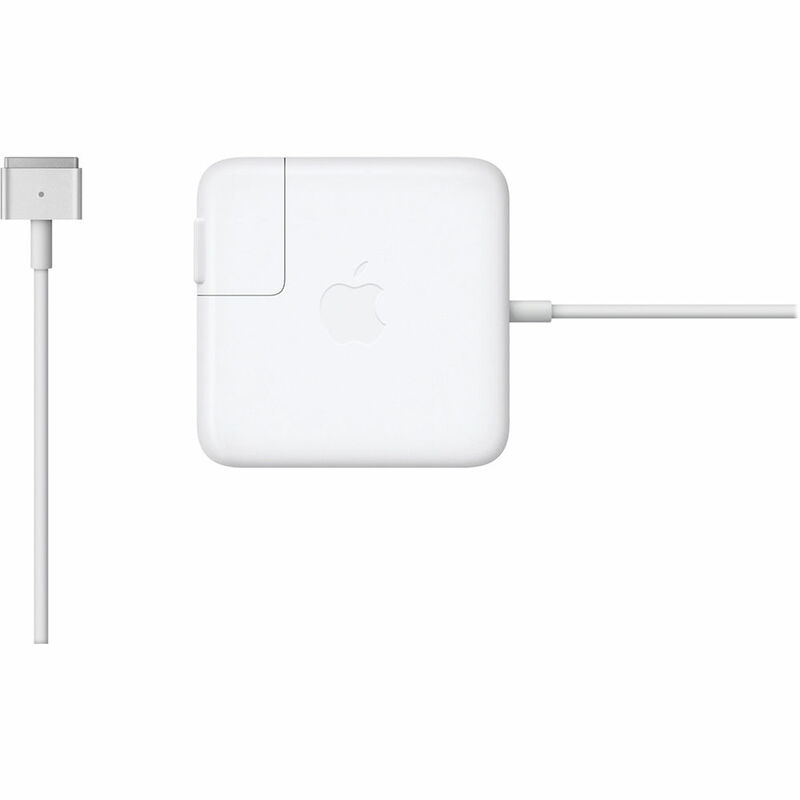 The Apple 45w Magsafe 2 Power Adapter B&amp;H # APMD592LLA works with Macbook Air models from 2012 or newer. Is the original from apple?